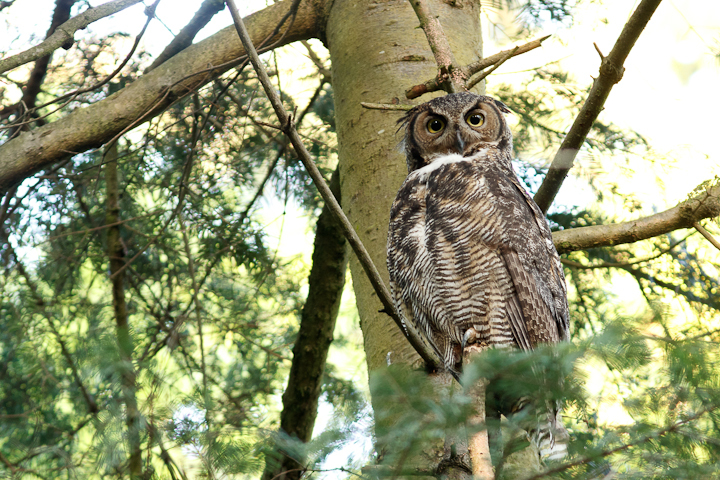 This morning I went back to see the Great Horned Owl nest, after an absence of more than a week. Worryingly, there only seems to be one owlet in the nest. I am unsure where the other one might be. It may have succumbed to predation, or possibly is out of the nest nearby. I recorded a bit of video yesterday evening, and in it the mother owl feeds the chick in the nest, then carries a headless rat out to the west of the nest. It could be that the the other chick is out there and the parents are still feeding it. This is probably the last year this nest will be in use, as the snag is very nearly rotted through, and will not likely last another winter. You can see the whole nest move as the adult takes off or lands. 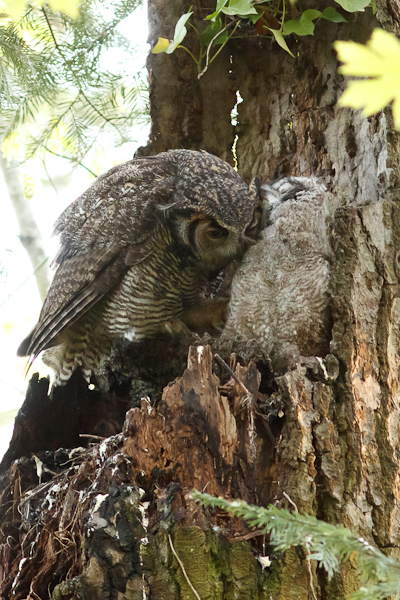 The female did some “allopreening” of the chick. 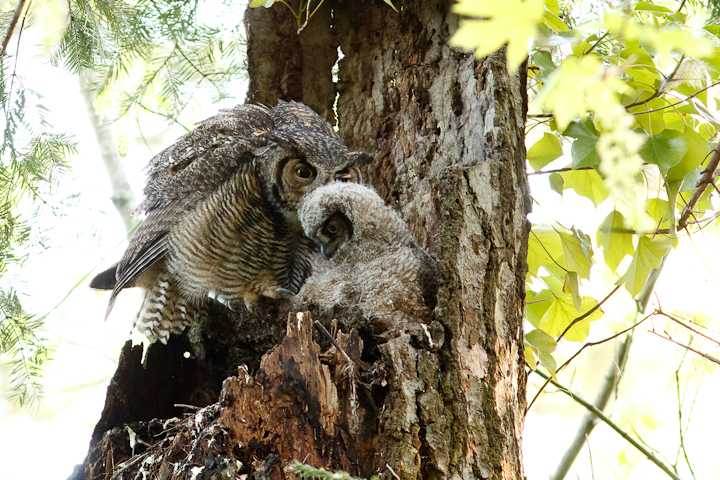 Yesterday morning the female was actually driven off the nest by a guy yelling at his dog. 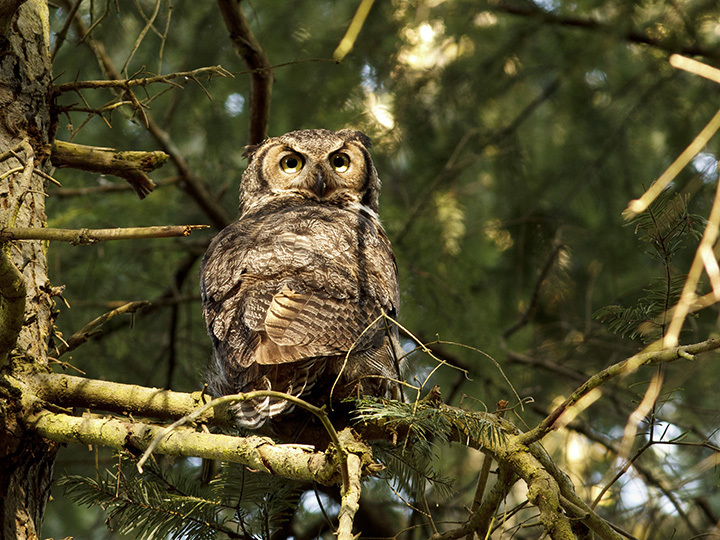 This is the first time I have seen the owls disturbed by people nearby. Last evening, about 20 minutes after the female disappeared with the headless rat, she re-appeared without it. This gives me some hope the other chick is still out there being fed.